The 40th Annual Hy-Miler Supermodified Nationals takes center stage Thursday through Saturday next week at Sandusky Speedway. On Thurs. July 27 it will be Fan Appreciation Night. Admission is one dollar plus one dollar concession stand specials. Racing will be the Sportsman, Street Stocks and Hobby Stocks. The pit gates open at 3:30 p.m. Grandstand admission at 4:30 p.m. Hot laps at 4:30 p.m. Qualifying is at 6 p.m. Racing is at 7:30 p.m.
Fri. July 28 the International Super Modified Association (ISMA) Supermodifieds run preliminary races and the Fast 40: lap feature. The Modifieds are the support division and have a 30 lap, $1,000 to win feature. Adult admission is $25, $23 for Seniors (65+), $7 ages 6-12, free to ages 5 and younger. The pit gates open at 2 p.m., Grandstand admission at 4 p.m. Hot laps at 4 p.m. Time trials are at 6:30 p.m. Racing starts at 7:30 p.m. A pit pass is $40 for one day or $75 for two days. On Saturday the ISMA Supermodifieds run preliminary races then the 100 lap feature race. The Modifieds have a 50 lap feature. Adult admission is $28, $26 for Seniors ages 65 +, $7 ages 6-12, free to ages 5 and younger. The pit gate opens at 10 a.m., Grandstand admission starts at 1 p.m. The hot lap sessions start at 1 p.m. Time trials will be at 4 p.m. Racing will be at 7 p.m. No coolers are allowed in the grandstands. Call (419) 625-4084. Former Lorain County Speedway owner Nick Bonnema had a successful operation to remove a brain tumor earlier this week. Nick will be in recovery for about the next three months. Lorain County Speedway will be idle next Saturday night July 29 for the Hy-Miler Supermodified Nationals at Sandusky Speedway. Racing resumes at LCS on Sat. 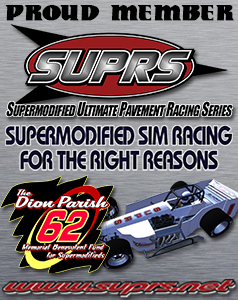 Aug. 5 with the Midwest Supermodified Association (MSA) Supermodifieds making their third appearance of the season. Joining the MSA Supermodifieds will be the Street Stocks who have another 40 lap feature race, The Modifieds, Crate Sprint Cars, Pure Stocks and Chargers will see action. The Sportsman divison will also be here. Call 986-7223.